T-fal 10-Piece Cookware Set Just $73.99! Down From 149.99! PLUS FREE Shipping! 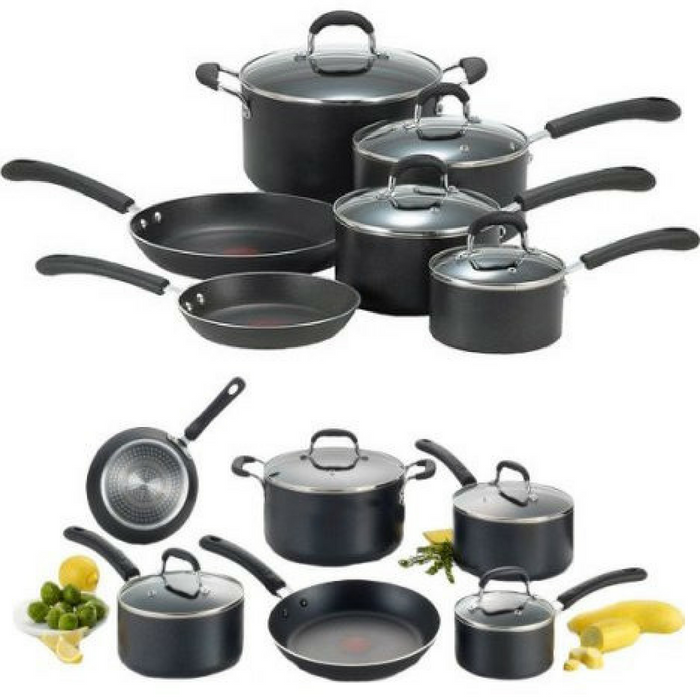 You are here: Home / Great Deals / Amazon Deals / T-fal 10-Piece Cookware Set Just $73.99! Down From 149.99! PLUS FREE Shipping! T-fal 10pc Cookware Set Just $73.99! Was 149.99! PLUS FREE Shipping! Don’t miss your chance to grab this great deal! You can get this T-fal 10-Piece Nonstick Heat Indicator Cookware Set for only $73.99, down from $149.00 PLUS FREE shipping! The T-fal 10-Piece Nonstick Heat Indicator Cookware Set is a versatile and stylish addition to any kitchen. The upgraded new T-fal Thermo-Spot heat indicator shows when the pan is perfectly preheated to seal in the flavor of the food. This set also has a riveted silicone handle for comfort grip and will not get hot during high cooking. It is safe for all cooking methods, including induction stovetops, making it the perfect cookware set even for beginners!